The spices in these soft caramels are perfect for the holiday season, as it reminds me of gingerbread cookies. They are ridiculously easy to make. You just need a little patience while the caramel cooks. 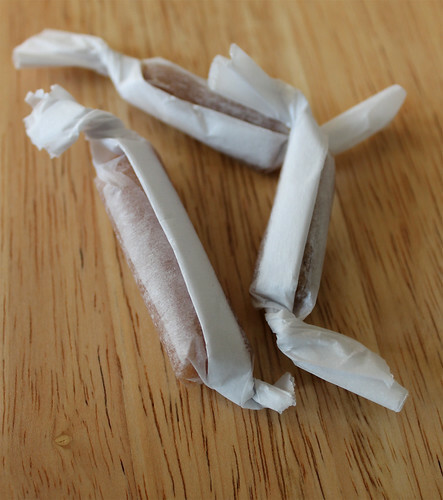 And get a few extra hands to help out at the table to make the wrapping of these caramels go faster. Soft, chewy, sweet, buttery, a little spicy. Who wouldn't want a few of these tucked into their cookie tin or stocking? 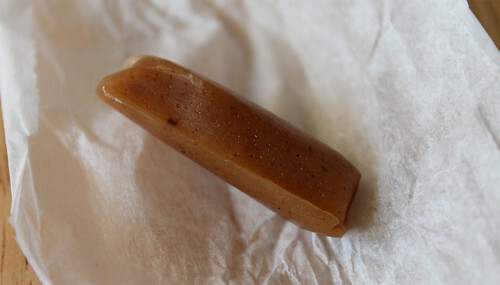 Find the recipe of these caramels via Form V Artisan.